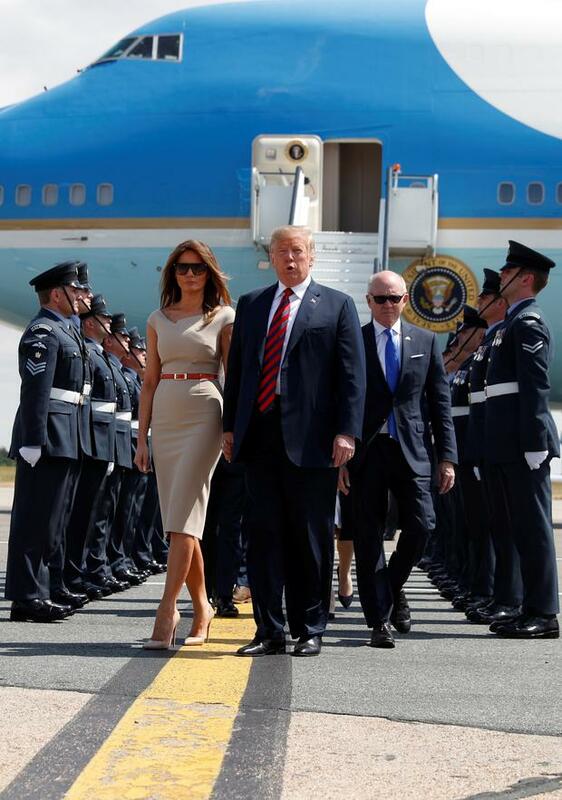 Donald Trump has arrived at Stansted Airport with his wife Melania for his first official visit to the UK since his election. Air Force One touched down at 1.50pm on a private airfield close to the airport where three MV-22 Osprey helicopters - used to transport his staff and security team - and two VH-60N White Hawks were waiting. 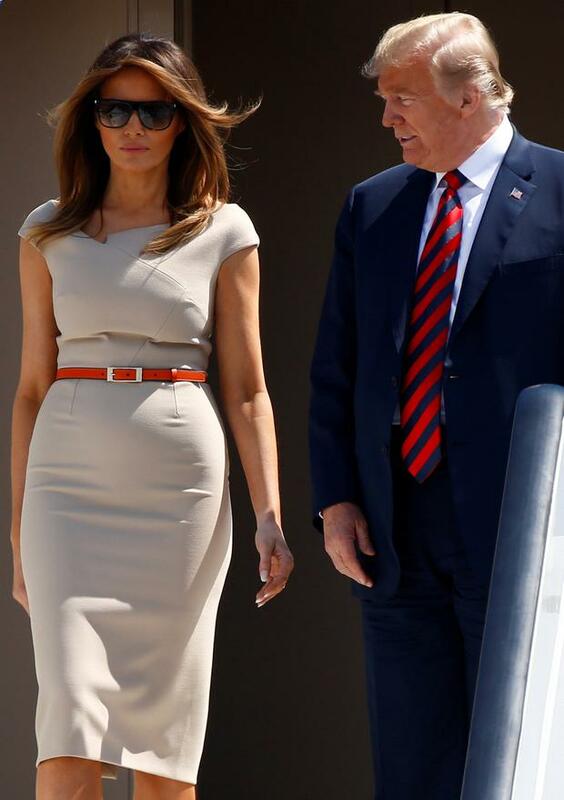 The US president gave a brief wave to the crowd before descending the steps holding the hand of the First Lady, who wore a fitted beige dress and red belt. They were met by International Trade Secretary Liam Fox, the Lord-Lieutenant of Essex Jennifer Tolhurst, chief operating officer of Stansted Airport Brad Miller as well as a regiment of RAF airmen. The couple spent a few moments greeting the welcoming committee before stepping into one of the White Hawks. 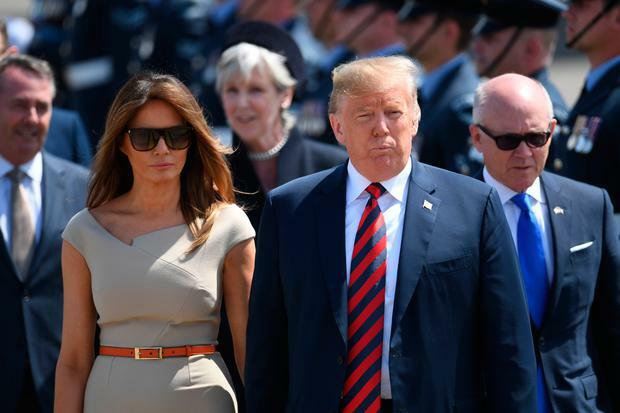 The president was delayed for almost an hour when the Nato summit in Brussels he had been attending overran because he demanded member states increase their contributions faster than originally planned. Later, Mr and Mrs Trump will attend a black-tie dinner at Blenheim Place - the birthplace of Winston Churchill - in Oxfordshire, hosted by Theresa May. They are scheduled to spend Thursday night at the US Ambassador's home Winfield House, which is in Regent's Park.